It was an old-fashioned political rally. The Democratic Unity Rally rocked the Cambridge Community Center. The trio of Senator Elizabeth Warren, Congressional nominee Ayanna Pressley, and the Governor nominee Jay Gonzalez promised the crowd that elected Democrats would guarantee universal health care, protection of immigrants, and an end to hate and discrimination. With less than two months left before the high-stakes midterm elections, the trio called upon the people of Cambridge to elect more democrats into congress. 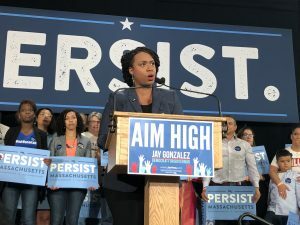 After some opening statements, it was Ayanna Pressley who took the stage first. 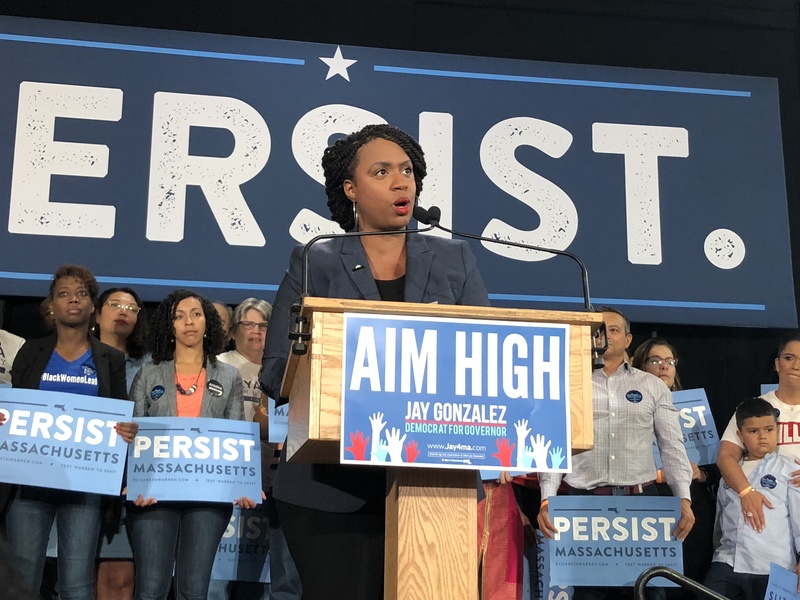 She encouraged the audience to flip the House by bringing “people together to resist, persist, and to progress.” Pressley critiqued Governor Charlie Baker, and encouraged the audience to bring Jay Gonzalez into office instead. Gonzalez promoted Pressley and Warren by saying “they believe in our potential for progress.” He criticized some of the current congressional leaders for not sharing the American value of fighting for ‘the little guy,’ and announced that as governor, he would stand up for everyone in Massachusetts. Elizabeth Warren seconded Gonzalez by claiming that the people were being scammed by the government for too long. The three called for similar changes to the system including access to healthcare for all, protection of immigrant communities, and ending hate and discrimination. The midterm elections will be held Tuesday, November 6.